This is the first time in recent memory that two candidates for Iloilo governor have refrained to mudslinging (so far). While both Iloilo fourth district Rep. Ferjenel ‘Ferj’ Biron and Iloilo third district Rep. Arthur ‘Toto’ Defensor, Jr. belong to burgeoning political dynasties, they appear to have defined local politicians on a higher level by “introducing” themselves to the public. With both currently serving in the House of Representatives, familiarity and camaraderie may be playing a factor in their cordiality. 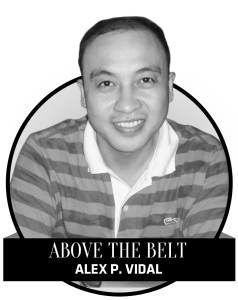 Nonetheless, to the delight of Ilonggo voters, they have not resorted to violent or bedraggled tactics and are focused on their respective platforms, conveying what they would be capable of doing if elected to the highest office in the province. The pairing is comparable to the tranquil rivalry between world chess champion Magnus Carlsen of Norway and his American challenger Fabiano Caruana. Unlike past face-offs – Bobby Fischer vs. Boris Spassky in 1972, Anatoly Karpov vs. Viktor Korchnoi in 1978, and Karpov vs. Garry Kasparov in 1984 – there are no verbal fireworks between the two current opponents. The two, who will be competing at the 2018 Fédération Internationale des Échecs (FIDE) World Chess Championships from November 9 to 28 at The College in London, are currently atop the current FIDE Elo rankings, with Carlsen at number one and Caruana in second. The last time the world championship was contested between the two highest-ranked chess players was between Kasparov and Karpov in 1990. There was also the great tennis rivalry between John McEnroe and Ivan Lendl in the 1980s. There was no love lost between the two, who faced each other countless times in key matches. Jan Velinger of Czech Republic-based Radio Praha said the two had contrasting styles – McEnroe was unbridled emotion while Lendl kept a grim poker-face. Their most famous match was at the 1984 French Open, where Lendl came back from two sets down to capture his first grand slam title. While Lendl smiled when it was over, McEnroe, instead of waiting to congratulate his opponent, walked off the court – the rivalry was nothing if not bitter. But the two legends have since put their mutual differences behind them. Before a 2014 exhibition match in Bratislava, Slovakia, McEnroe discussed a less-than-charitable comment once attributed to him.